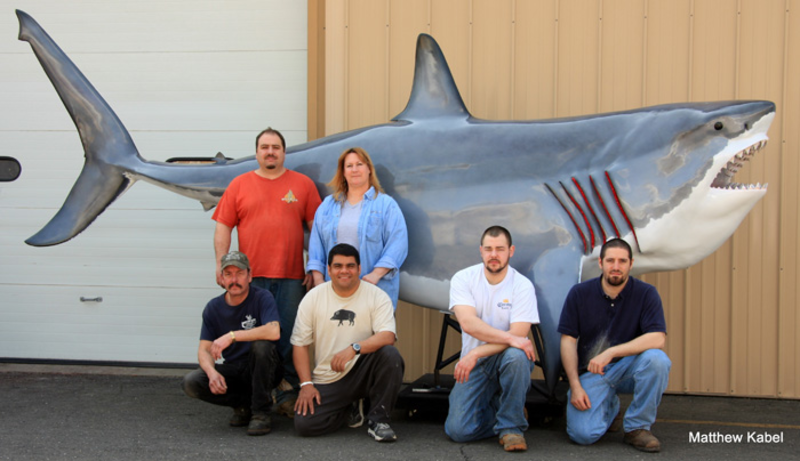 Family owned and operated since 1976 the Pitruzzello family, led by Joe Pitruzzello and his team of full time professional marine taxidermists has grown into the largest fish taxidermist in the Northeast and known internationally as one of the premier studios in the country. 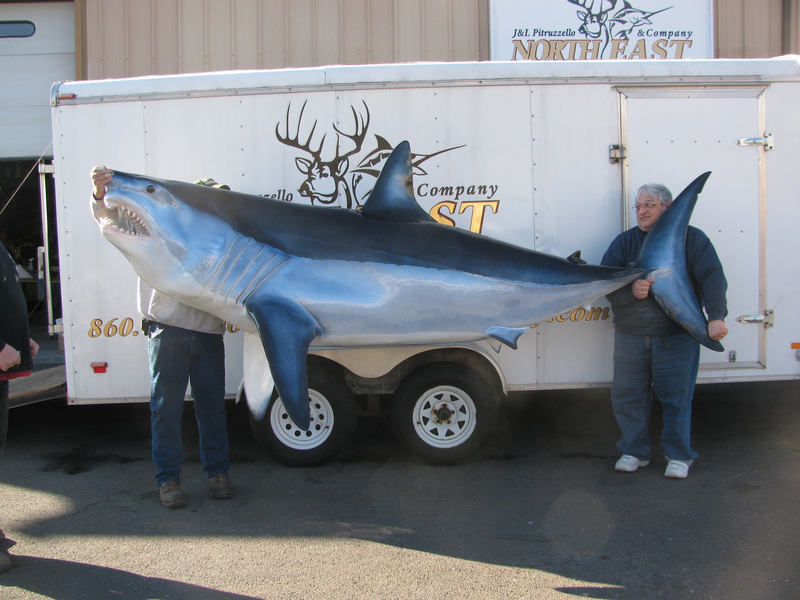 Over 100 years of experience in one award winning team, the staff at Coast to Coast Fish Mounts handles all sizes and species of fish from around the world on a daily basis. Over the past 38 years, we have complied one of the largest most comprehensive selections of fiberglass fish replicas molds in the country. This allows us the ability to match each and every fish to its exact specifications. Our office personnel is experience in handling all species of fish from all areas and will work close with you to select the proper fiberglass fish replica to meet your specifications, and when complete insure a safe smooth arrival from our facility to you home or office. If it isn’t enough that our name and reputation are carried out with every fish trophy, there is one more step that goes into our product, YOUR TRUST. Your trust is a trust that we respect and go to great lengths to insure that every fish that leaves out studio is the finest. Joe is the owner and team leader of Coast to Coast Fish Mounts, and for the past 38 years has been the full time fish painter. 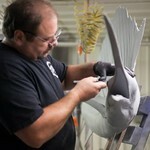 Joe began practicing taxidermy at a very young age and quickly knew fish taxidermy was his calling. Coming from an artistic background, Joe knew that painting was his passion. Joe has painted thousands of fish over the years, many of them state and world records for serious anglers across the country. His resume includes top marinas, charter boat captains, professional athletes, Hollywood celebrities, Bass Pro Shops, Cabelas, etc. Joe has a lifetime of experience in all seasonal color patterns of fish from around the world and is a true artist in his field. 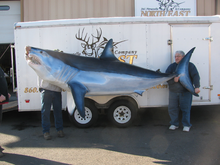 Lowrey is co-owner of Coast to Coast Fish Mounts. She has been involved in the taxidermy industry for over 25 years. Lowrey is the office manager and customer service specialist, but don’t let that fool you. She can do mostly anything in the shop as good as anyone. Extremely knowledgeable of all phases of taxidermy, she can answer any question that comes her way. 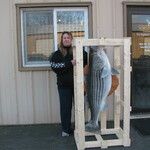 Lowrey is a real people person and enjoys working close with her clients to ensure their trophy is complete, shipped on time, and ensure a safe and smooth arrival to their home or office. Lowrey is highly respected by all the clients. She is a tireless worker and almost always the last one to leave the shop each day. She is definitely a major impact on our company and one of the main reasons for its success today! 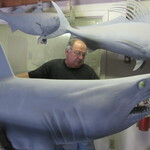 Manny has devoted the past 38 years of his fish mounting career molding, casting, and preparing fiberglass fish blanks and replicas. 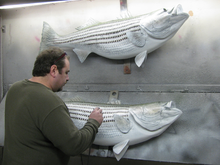 Over the past three decades Manny has compiled one of the largest most comprehensive selections of fish molds in the industry. Manny was also an accomplished artist at a very young age and is very detail oriented as it shows in all of his works. From the smallest Baitfish to a monster Great White Shark and everything in between, he has done them all!! 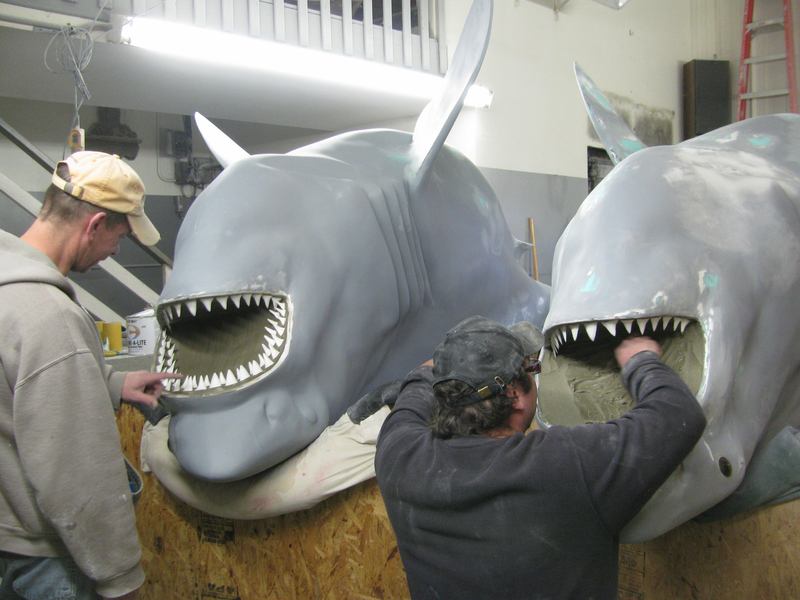 With thousands of fish mounts to his credit, you can clearly see the difference in his finished replicas. Kevin is an avid outdoors-man who brings over 35 years experience to our team. 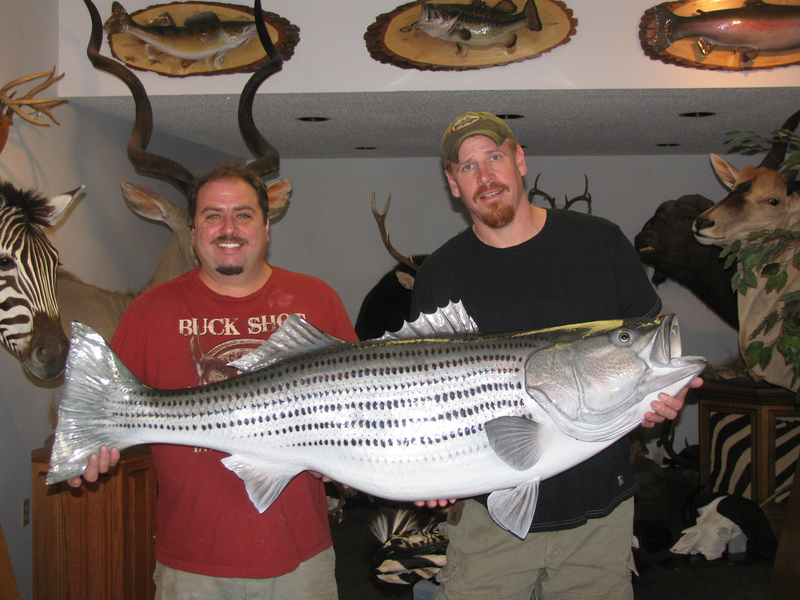 He joined us in 2012 and has already made a major impact on our Marine Taxidermy Division. 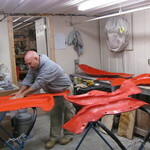 Working with Kevin you can quickly see that he is a highly skilled craftsman and a real stickler for details, but his real passion is the offshore, big game fish. 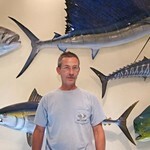 Kevin works daily on Sharks, Marlins, Tunas, and other varieties of saltwater fish. We at Coast to Coast Fish Mounts are excited to have him aboard! 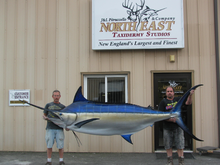 Wayne has been associated with Coast to Coast Fish Mounts for the past 20 years. Wayne is a real, dyed in wool, fisherman. When not building fish blanks, Wayne spends his spare time working as a mate on many of the major charter boats in our area. This allows him to study these fish up close. I know of no one with more passion for fish, fishing, and marine taxidermy than Wayne. He is extremely innovative, creative, and a real gentleman. He also brings a lifetime of knowledge and experience that show through on all of his creations.